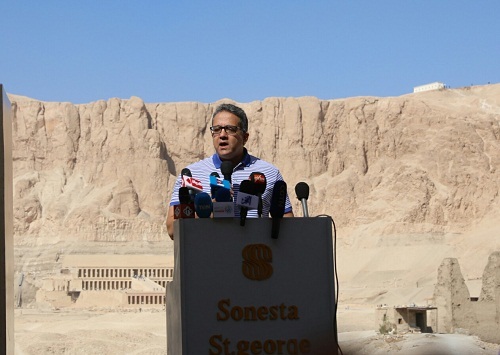 An Egyptian archaeological mission uncovered in El-Assasif, Luxor, a Ramesside period tomb of Thaw-Rakht-If, the overseer of the mummification shrine at the Precinct of Mut, and the original entrance of tomb TT28, the burial place of the ancient Egyptian official Hori, announced Minister of Antiquities Khaled El-Anany. 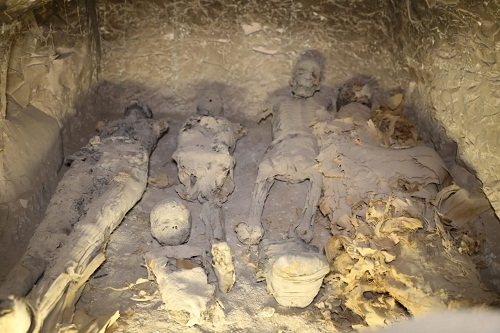 Excavation in the area began in March, then stopped in May before resuming work in August, El-Anany stated. 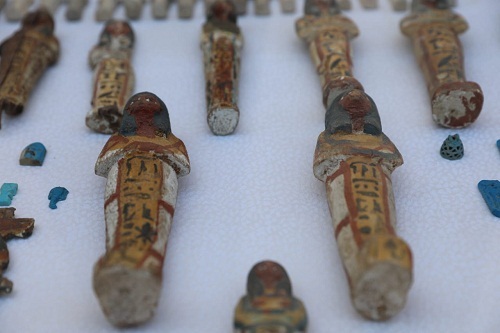 Inside the tomb, two huge wooden anthropoid sarcophagi were found, but studies revealed that they do not belong to the owner of the tombs, but rather to a son and daughter from a later period, Padiset and Nesmutamu . 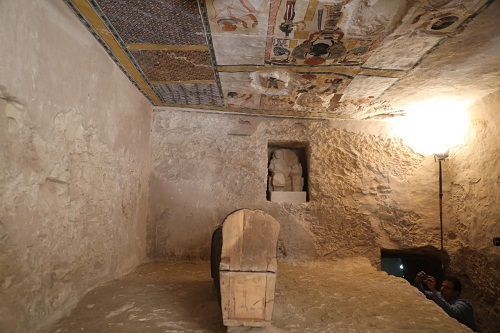 Anany described the well-preserved sarcophagi inside the tomb as “magnificent”, with eyes inlaid with golden sheets. 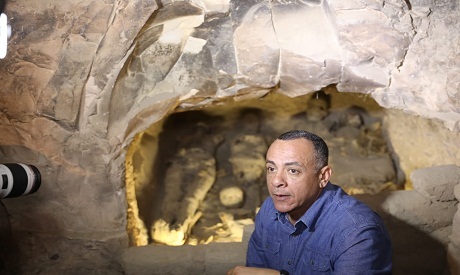 Mostafa Waziri, Secretary General of the Supreme Council of Antiquities told Ahram Online that the tomb was buried under 300 meters of debris, and that the mission also uncovered two wooden statues of the deceased, five painted wooden funerary masks, and a collection of ushabti figurines made of faience, wood, burnt clay. Two lids of canopic jars made from limestone were also found, along with an alabaster jar adorned with hieroglyphic text. A papyrus with chapter number 125 from the book of the dead was also unearthed, along with mummified skeletons. 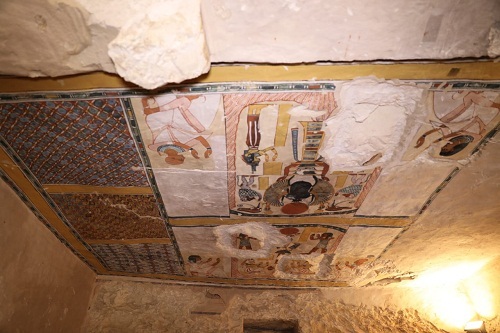 The tomb’s wall is decorated with scenes depicting the deceased family, such as his wife Kharousekhmet-Nefret, who was the singer of god Amun-Re. More research will be carried out to learn more about the discovery.